The heated discussions and rampant speculation surrounding Amazon's entry to Australia have not stopped ever since or even before Amazon's long-anticipated announcement made in April this year (2017). The US online retail giant founded by Jeff Bezos confirmed that it will be rolling out its online emporium locally over the next five years, with promises to Australian consumers such as low prices, vast selection and fast delivery, which are what they believe customers will value most. As per the official written statement, Amazon Web Services launched an Australian region in 2012 and a Kindle store on amazon.com.au in 2013, they now have almost 1000 employees in the country. Their next plan is to bring a retail offering to Australia making long term investment and providing thousands of job opportunities. With that being said, no timetable has been released and how Amazon will enter Australia still remains conjecture. However, from the constantly reported news or rumors, we can feel the US online retail giant is quietly moving their steps to achieve the ambitions that's sure to disrupt the local market. In the past month, Amazon has been busy posting job vacancies on seek.com.au and amazon.jobs looking for management positions, based in Melbourne in Bayside & South Eastern Suburbs, including area manager, operations manager, site safety manager and public relations officer. With the confirmed huge warehouse, they will begin recruitment immediately for hundreds of new roles such as pickers, packers and systems technicians etc. The US e-commerce giant has already made its physical presence in Australia and retailers are already feeling the Amazon pinch. While it's speculated that Amazon will have a material impact on bigger retailers such as Myer, JB Hi-Fi and Harvey Norman, it can provide an e-commerce solution to help small businesses increase sales and reach new customer through Amazon Marketplace. Opening up large warehouse in Melbourne is just the first step to launch its full range of services here, including Amazon Marketplace, Amazon Prime and eventually its grocery arms Amazon Fresh and Amazon Pantry. With vast section of products at low prices which will be delivered fast by Amazon, Australians will more likely to shop online, especially at Amazon. It's the era of Internet. Making an online existence is imperative. If you don't have one, start now on Yeep, where you can create a store page of your own. Should you already have, also join Yeep. With the powerful functions and sections to be launched soon, we will help you drive brand awareness so as to win the business battle. We invite you to submit as many blog posts as you like and promote them on Yeep, providing another excellent channel for you to let the whole world know about you and your business. If it sounds like something you're interested in, we encourage you to sign up, start blogging, and have some fun. This is a platform allowing YOU as business to broadcaste and update your coupons. On top of that, we will collect as many coupons as we can from other sources for YOU as customers to buy whatever in your mind. 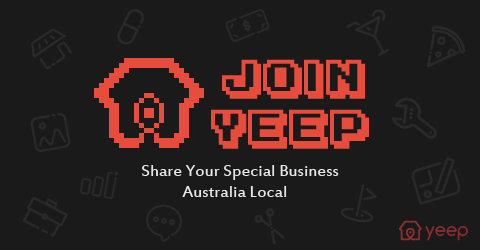 We never ever stop making Yeep better because Yeep aims to help your business grow. 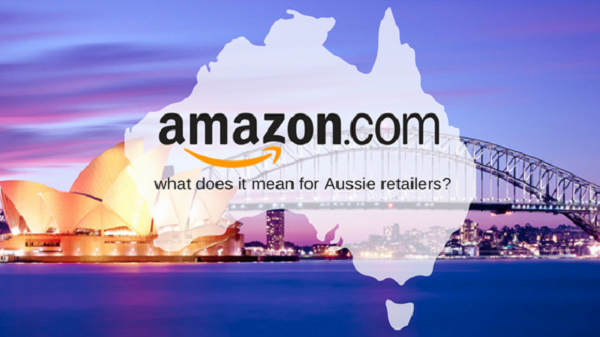 Online business will be tougher due to Amazon's entry into Australian market. Only those who get well prepared will survive, and with Yeep, you can do it! Join now! How to Promote My Business on Yeep? Are you a business owner in Australia? Trying to find a way to keep contact with your existing customers and attract more potential customers at the same time?